Ace timing on this one — indie-pop outfit Caro Kissa dropped One Summer Day right as real summer…no more week-long rainstorms, but rather brutal-but-liberating “feels like 39 Celsius” becoming the norm…started. The three song set offers up a welcome breeze to the just-born season, the first two songs finding Caro Kissa in their element of wind-swept indie-pop, with the strut of “Summer Summer” introducing a few more party-ready elements to their style. They made a video for it, watch below. Then comes “Midnight Sensation” which…whoa, what??? 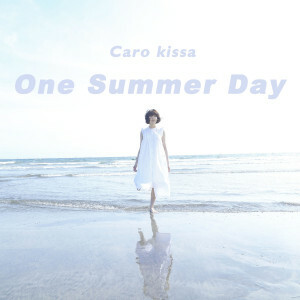 It’s the most electronic Caro Kissa have gotten, and pivots One Summer Day into the night. It’s a bouncy synth-pop number full of burbles and tight guitar, Caro Kissa approaching Shiggy Jr. levels of floor-eyeing indie-pop. It’s a hell of a cap off to another promising collection from one of the year’s better indie-pop outfits. Get it here, or listen below.